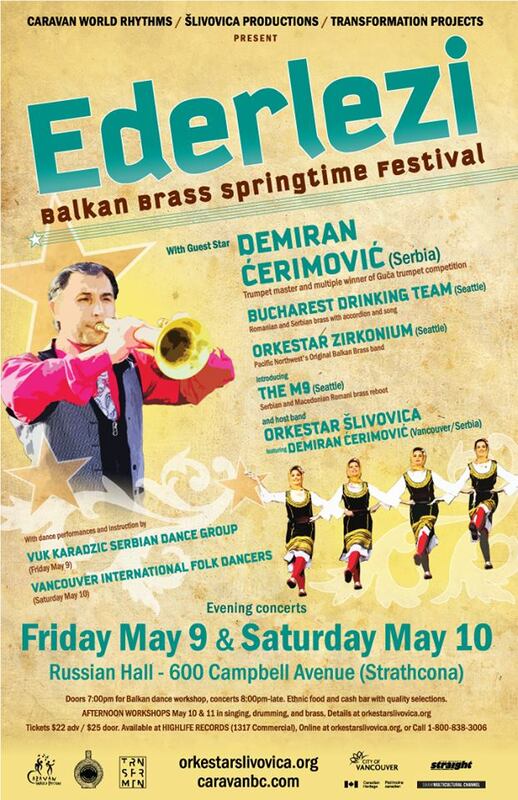 We’re so excited to be a part of this amazing bill for Ederlezi, the traditional Romani Spring festival. Join us to celebrate with music, dance, food and drink, and friends. The weekend promises two epic evenings of Balkan Brass, featuring legendary Serbian Romani trumpeter Demiran Cerimovic, bands from around the Northwest, as well as two local folkdance troupes. Traditional food and libations will complete your experience, and for the musicians, there will be workshops during the days. Ziveli!